Moving and found a few spare parts. 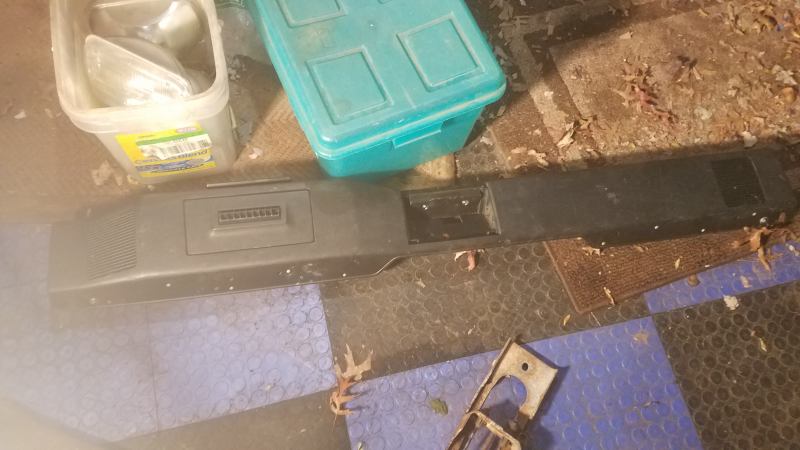 Have a black lower dash in good shape with no cracks! No ashtray included, but underdash lights still in place and I will include a couple of factory tweeters for behind the grilles if interested. $45 shipped. Also have the bracket for the e brake cable adjuster. Has some scale, but nothing that a dip in some rust remover wouldn't clean up nicely. $25 shipped. Where in nj are u located again? Near commodore Barry bridge by any chance? I'll take the lower dash! Lower dash pending sale. Neal, I live more central, don't come down 295 too often. I think Hornbrod has been looking for a non cracked black lower dash piece . Bump. Hornbrod had agreed to buy the dash, and it took me a LONG time to find a box long enough. It is now boxed and ready to go, unfortunately Don has passed, which I just found out in coming on to message him about me finally finding a box. Lower dash is now sold. 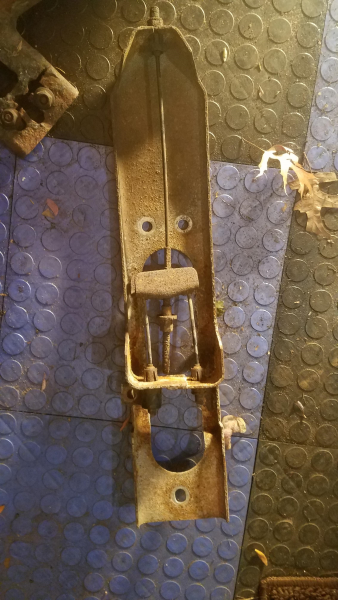 Parking brake bracket still available.